I'm doing things a little differently this week and posting a recipe instead of our usual "Recent Things" post as I couldn't share this with you yesterday due to lame internet! 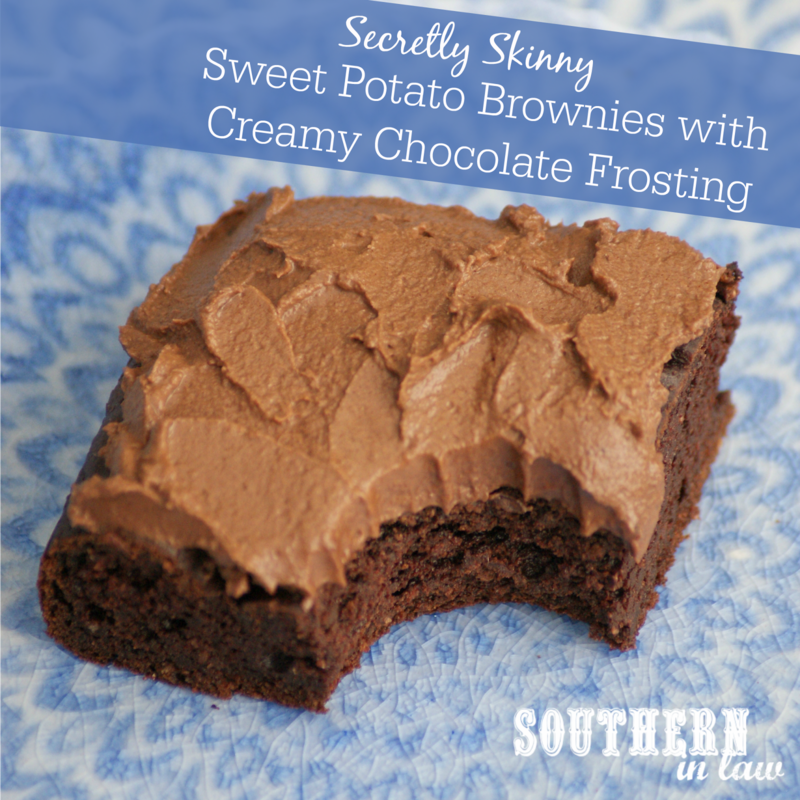 I think you'll forgive me once you find out how delicious these brownies are! You see, Jesse and I are kinda sorta brownie addicts. We're constantly testing new recipes to "find the perfect healthy gluten free brownie" - but the truth is... we just like eating brownies.... especially when they're frosted.... frosted brownies are brilliant. These brownies were somewhat of an unexpected success... You see, I kind of just threw things into my food processor (because I was being lazy and didn't want to stir), poured the mixture into a brownie tin, waited and, hey presto! I had seriously delicious brownies. 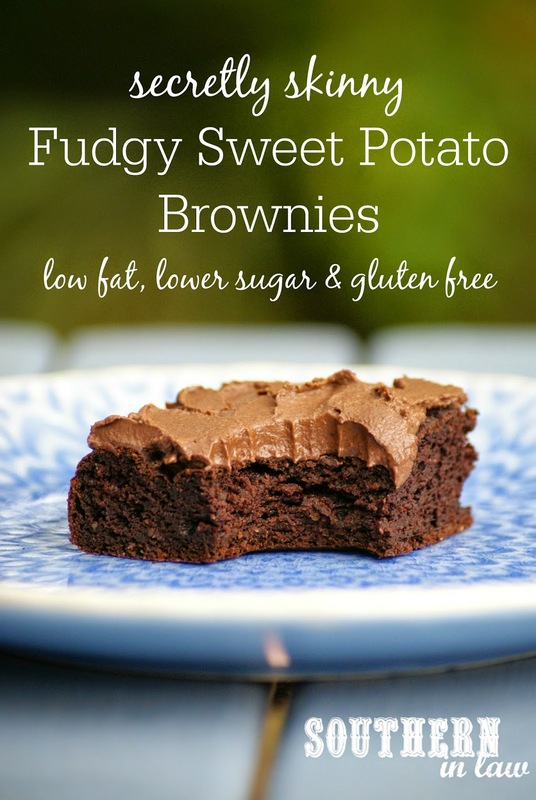 Did I mention these brownies had sweet potato in them? Because I kind of forgot intentionally didn't tell Jesse about that part. That boy doesn't need to know there's vegetables in his brownies until after he's told me how delicious they are. "Oh yum.... yuuuuuummmmmmmm these are seriously good. Is this a new recipe?" "Well you should put it on the blog because they're seriously good"
"Oh you think? They don't taste like they have anything odd in them?" "Oh good... because they're.... ummm..... sweet potato brownies...."
"Well you said they were good, right?" "Yes..... but... they're.... sweet potato?..... How? Why? But they're really good.... reaaaallyyy good.... so I might just have to check for consistency and have another". Jesse is not the consistency chief on SIL, but he likes to think that he is. You see, you can tell when a recipe is good because Jesse will need to check 'for consistency' all day long - ie: eat as many brownies as he possibly can before Kristy devours the rest. 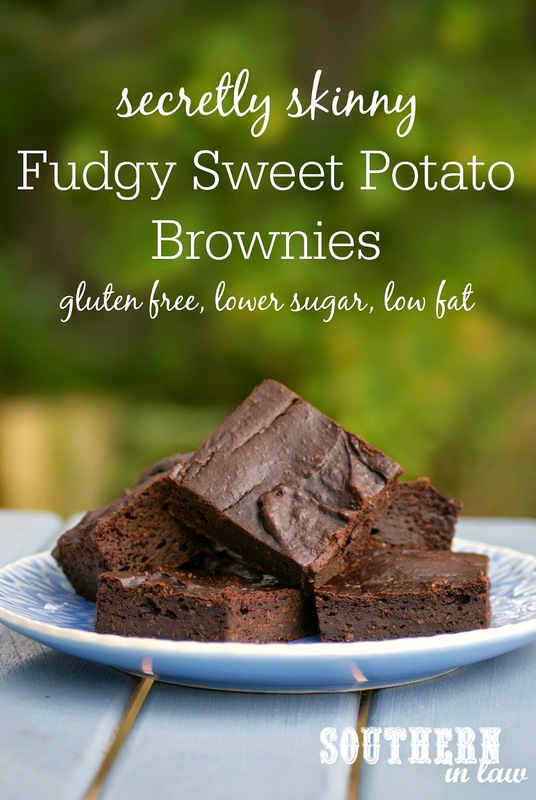 These brownies are seriously good - but don't tell anyone they're sweet potato brownies until afterwards - because you know they'll try and nitpick if you do! Grease and/or line an 8x8" or 7x7"* baking pan and set aside. Add your oats to your food processor and pulse until ground into oat flour. Add all of your other ingredients, except for your chocolate chips and mix until combined, scraping the edges of the bowl between processing to ensure everything is mixed together. Fold through your chocolate chips with a spatula and pour your brownie mixture into your prepared baking tin. Bake for 25-40 minutes (depending on tin size) or until cooked through and a skewer inserted into the brownies removes clean. Allow to cool before removing from the tin and frosting/slicing into pieces. These brownies will keep in an airtight container for 3 or so days or will store in the freezer, sliced and un-frosted, for months. *We now use a smaller square tin to make thicker brownies, however, the brownies pictured were made using an 8x8" pan. Smaller brownie tins can be a little tricky to find - we found ours at a specialty cake supply store. **We baked a small sweet potato in foil (it was around 170g raw) and then allowed it to cool before adding to the mix. But what about the frosting?! We frosted these babies with our Sugar Chocolate Coconut Fudge Sauce - once you put the sauce into the fridge it sets up into a delicious fluffy frosting! 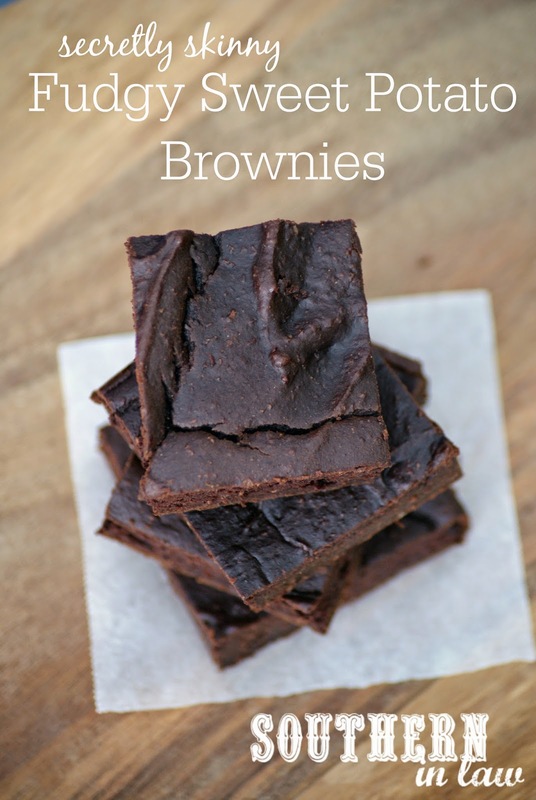 You could also use the Vegan Chocolate Frosting Recipe from our Vegan Chocolate Fudge Brownies. But tell me, what's your favourite type of dessert? And what's one food you've been obsessed with lately? I love brownies. I've made them with puréed pumpkin, I should try them with sweet potatoes. Yum! I made these yesterday. No chocolate chips - only because I didn't have chocolate chips on hand (otherwise they would have been in there!) - and I substituted honey for sugar. Delicious! Thank you for the recipe! Molly I am so glad you loved the recipe! We've subbed honey as well and loved the results so I'm glad it all worked perfectly for you too! Using agave nectar will give you a slightly different texture - and you'll need to reduce the milk to account for the liquid sweetener, however, you can definitely give it a try! Just know that the end result will be different to the original recipe.